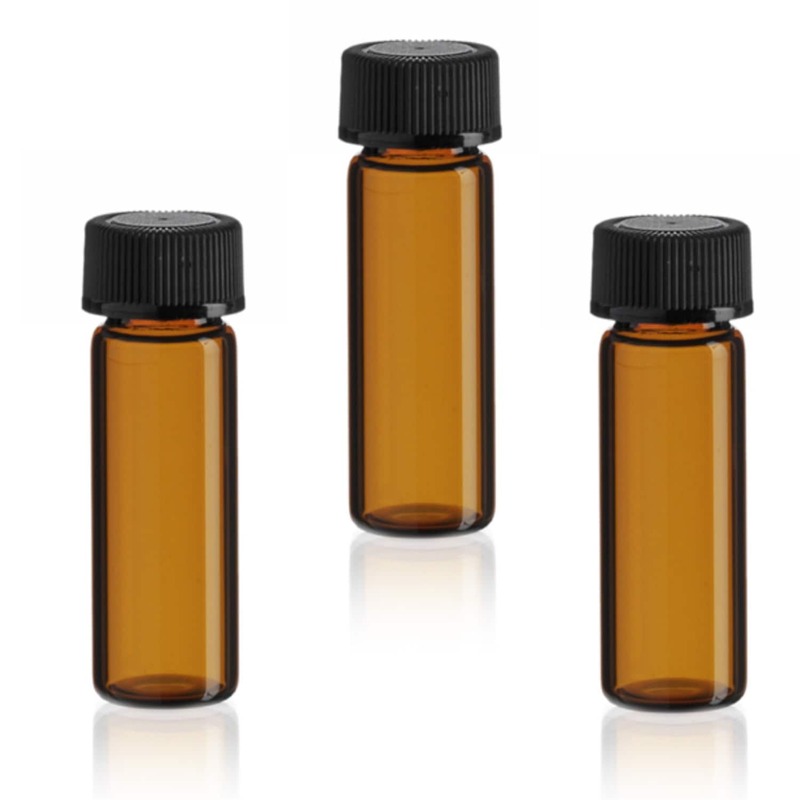 These MagnaKoys glass amber vials are here offered in size of 1 dram. 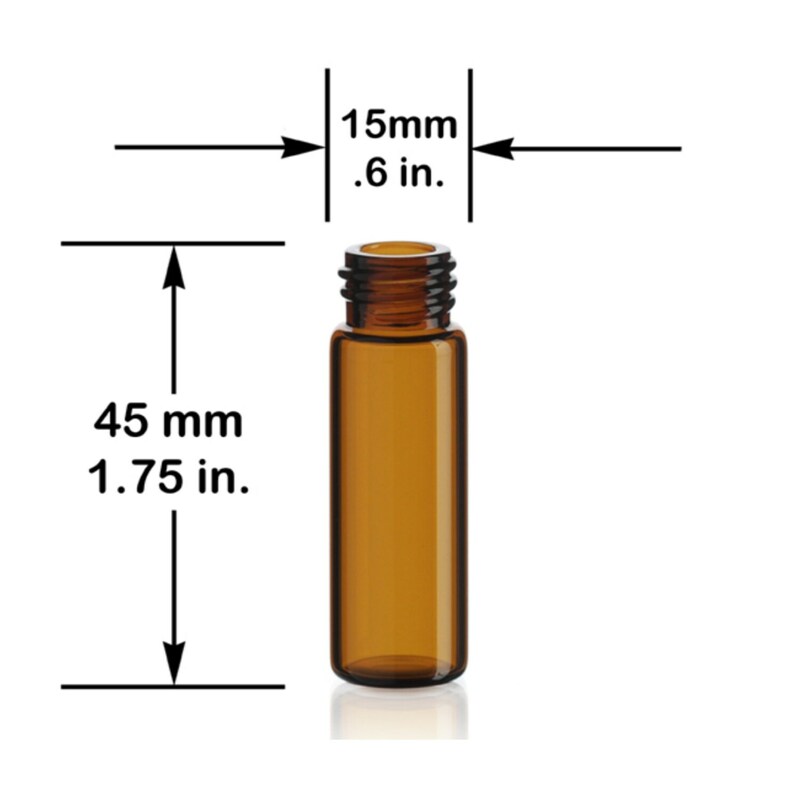 Each glass vial comes with a black cone lined closure, and makes a great container for many products. . Available in other colors and size also.